Beautiful Mermaid Decor for Your Home! Stunning Mermaid Decor for Your Home! Are you also ‘mesmerized’ by mermaids? I am always looking for mermaid stuff online and when I saw all these mermaid home decor pieces available for sale I went nuts!! You won’t believe how ‘magically’ beautiful they are! I even found mermaid furniture! 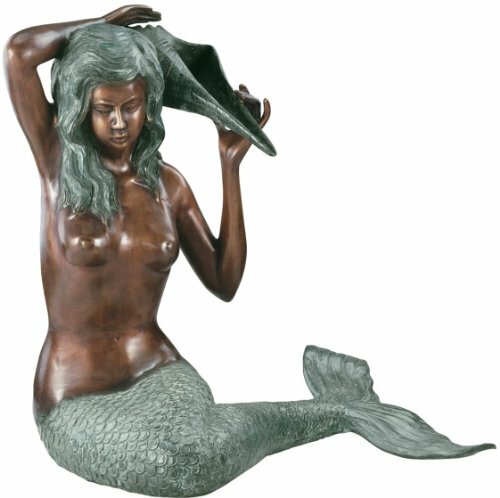 *By the way, how about having this gorgeous mermaid sculpture right by your front door or right next to your couch? **To learn more about any of the pieces I have here all you have to do is click the picture. 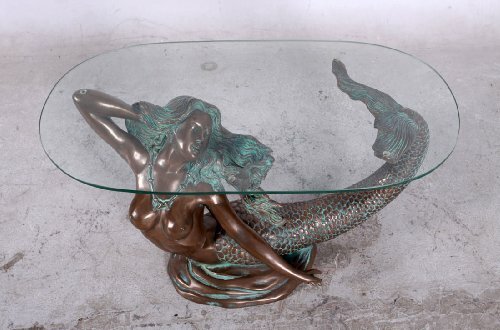 I am truly ‘mesmerized’ by these stunning mermaid tables! 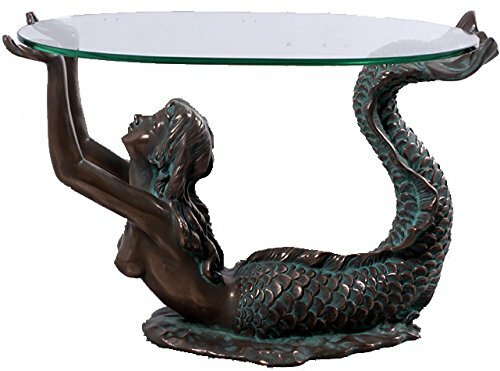 This gorgeous small mermaid table with glass bronze finish is made from fiberglass resin and she can hold that glass top like no other! 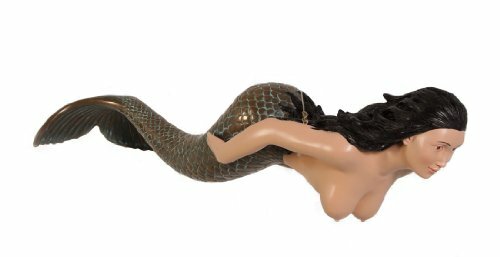 This is a very unique mermaid decor piece! The Most Amazing Mermaid Home Decor! 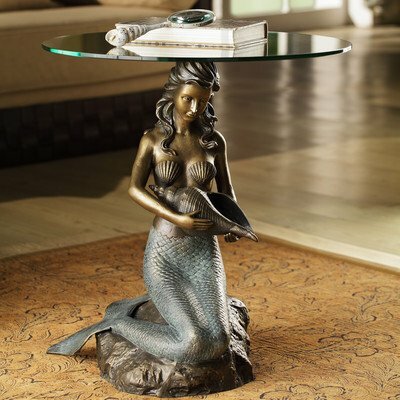 This gorgeous mermaid sculptural table is one of the most impressive mermaid furniture I have seen! Let this beautiful mermaid hold all your drinks for you while you stare at her beauty! Another gorgeous mermaid end table for sale! This one is a beautiful mermaid and two sea turtles! The price is not so bad! Will make a fun gift idea for the mermaid lover in your family! This is one of the cutest mermaid end tables for sale! 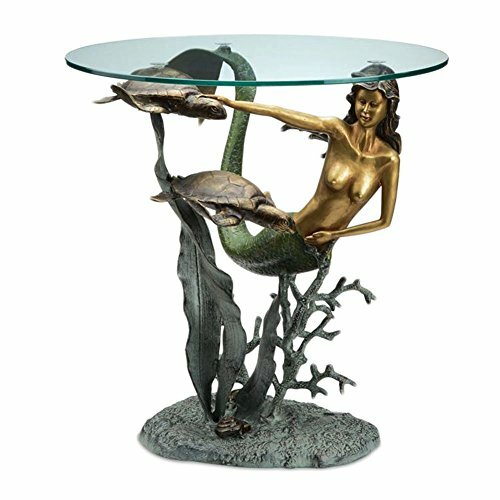 It’s a gorgeous kneeling mermaid holding a conch sculpture glass-topped table perfect to have next to your armchair in the living-room! She has a very cool ‘bronze like’ finish! What a fun mermaid piece to have! Look what I found now fellow mermaid lovers! It’s a beautiful and very unique life-size mermaids sculptural floor lamp! How’s that to complement your mermaid decor? You can have them near your beautiful mermaid table! Beautiful Mermaid Floor Lamps for Your Home! Now I found this beautiful single mermaid life-sized floor lamp for sale! She has a beautiful verdigris finish and a pedal switch. 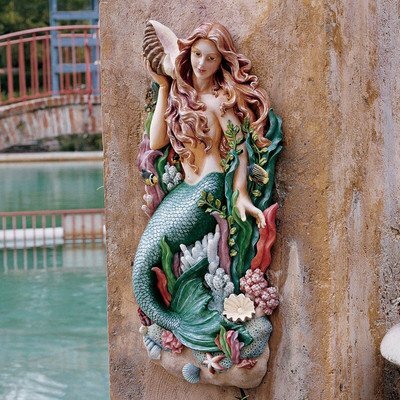 If you enjoy mermaid decor of course you also love mermaid sculptures! 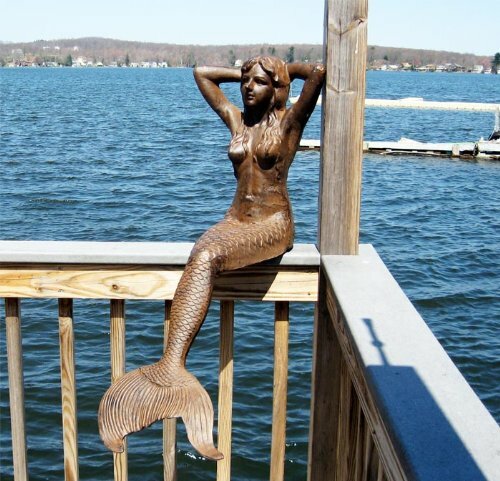 This is a gorgeous outdoor mermaid sculpture for sale! I love her bronzed two-tone finish! 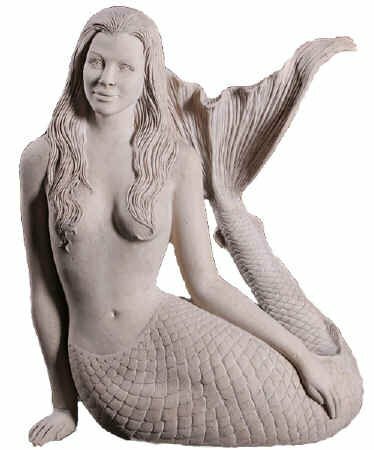 This is a very cool and unique stunning mermaid statue for sale! She is also very large and will definitely stand out wherever you place her! 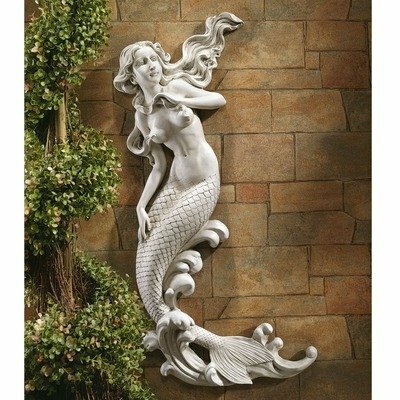 Can you imagine having a beautiful mermaid in your home? Gorgeous Mermaid Wall Decor for Home! How about a hanging a beautiful mermaid on your wall? You can have her in your bathroom, outdoors near the pool, on your porch or in your living-room! She is very nice detailed! I love her mermaid flowing hair! This is a fun, colorful and very cute affordable mermaid wall statue for sale! I would definitely place her in the bathroom! She is full of details! Great mermaid decor piece to own! What a beautiful and exotic swimming brunette wall mermaid for sale! She is very large as well, at 48 inches long! Where are you going to hang her? If your bathroom is large enough you can have her there! If not you can create a mermaid bedroom or living-room! 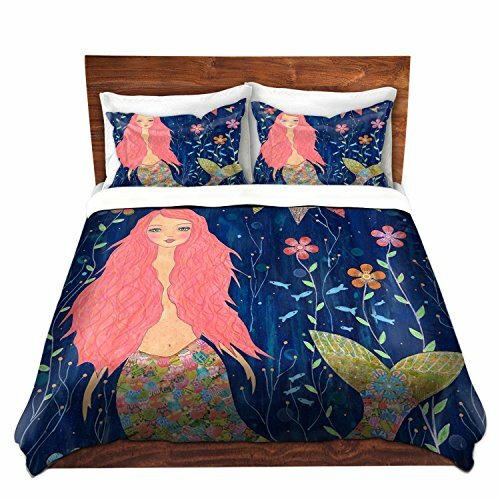 How about having a beautiful mermaid duvet cover? I LOVE her gorgeous mermaid pink hair and all the cute and colorful flowers! Great to create a beautiful mermaid theme bedroom for you! 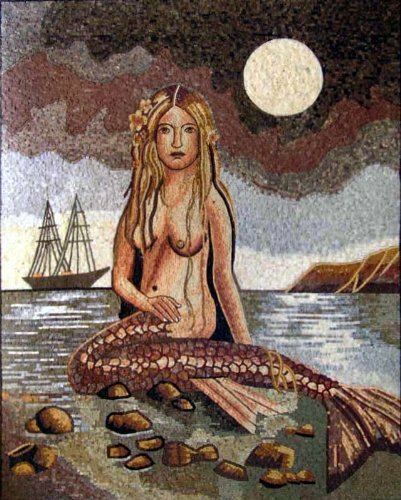 And I end my selections of mermaid decor with this beautiful mermaid mosaic wall art! It is a stunning work or art! You can have this mermaid mosaic anywhere imaginable! It lasts for a lifetime! I hope you enjoyed these mermaid home decor pieces and were able to find what you were looking for!